This system, just like all of our others, is free of charge. 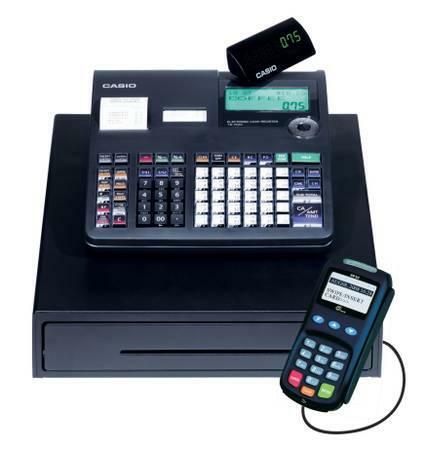 The system is built by Casio and is integrated with credit card processing. The low credit card processing rate of .8%, guarantees the most competitive rate in the industry. Exceptional 24/7 customer service and technical support. Also, as long as you process with us, we will provide a replacement cash register if yours breaks or malfunctions, completely free of charge. Fill out the form on the left side of this page to receive more information and to get started.